TramTrains arrive … at last. It’s taken around ten years to deliver at over four times the original budgeted cost but today passengers could finally get on what seemed like a ‘train’ at Rotherham Central station and get off what had turned into a ‘tram’ during the journey right in the heart of Sheffield’s city centre outside the Cathedral. Yes, the £75 million TramTrain trial is underway at last. If today’s passenger count is anything to go by, even setting aside first day intrigued locals and lots of camera wielding enthusiasts, demand will soon be ‘exceeding expectations’ and I can foresee the pilot being declared a rip roaring success. After all, who wouldn’t be attracted to use a service offering good value fares which serves the Region’s vast shopping mall at Meadowhall (albeit via the side entrance) and whisks you directly into the city centre. 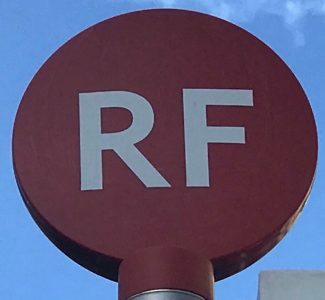 But this pilot has come at a huge cost and inevitably parallel bus routes and the traditional train service between Rotherham and Sheffield will suffer a consequential drop in passengers which may well have implications for future service levels. The original idea of running a TramTrain began in 2008 when the DfT thought the Penistone line would be an ideal test bed. However those who know a bit more about Yorkshire’s train tracks than London based civil servants soon pointed out connecting that line to the existing Sheffield Supertram tracks (the whole point of the trial) was a complete non starter so in 2009 DfT officials switched attention to a little used freight line running adjacent to the tram tracks from Sheffield towards Meadowhall and which could fairly easily be connected up to enable the sparkly new TramTrains to switch tracks and head on to Rotherham where the freight line connects to the regular passenger line. The guys at Network Rail reckoned £15 million should do the trick with a 2015 completion date. As we now know, thanks to a Transport Select Committee Inquiry, things didn’t quite work out as planned and £75 million and nine years later we finally have the pilot underway with the fleet of TramTrains, which arrived ready for service at the end of 2015, finally being used for their intended purpose. The connecting piece of track lies under the famous Tinsley viaduct on the M1. A short stretch is single track and TramTrains pause as they leave or join the tram tracks presumably to let train monitoring systems know they’re entering or leaving Network Rail’s sphere of influence rather than the ‘line of sight’ basic form of tram operation in Sheffield. On my southbound journeys this handover pause took as much as forty seconds but was slightly shorter in the northbound direction. The upshot of this is that signs and apps showing departures from Rotherham Central can’t pick up expected TramTrain arrivals until too late – with ‘on time’ indicators switching at the last minute to eight minutes late in one case today. Furthermore the departure screens at tram stops are not yet programmed to show TramTrains at all which inevitably led to much confusion with passengers thinking they were boarding a Meadowhall bound tram only to find themselves in Rotherham. It’s not easy for an average passenger to tell the difference between a tram and a TramTrain. This is not helped by an uneven headway on the TramTrain timetable with two of its three journeys an hour scheduled just one minute ahead of the parallel Yellow tram route to Meadowhall thereby following each other nose to tail for the entire journey from Cathedral to the Tinsley junction. I can see the difficulty in pathing three TramTrains per hour alongside the five Yellow line trams to/from Meadowhall to say nothing of the four trains an hour at Rotherham Central but this duplication is unfortunate as is the consequential uneven TramTrain frequency running at 01, 27, 39 mins past each hour (Yellow trams at 04, 16, 28, 40, 52) from Cathedral. Still, it is a pilot and I guess it’s more about how the different technologies and interfaces can work together but this aspect is a bit of a disappointment for passengers. The problem will also be in delivering a reliable and robust service as not only are there constraints of fitting trams, trains and TramTrains together but the end to end running time at 26 minutes from Cathedral to Rotherham Parkgate (the new terminus three minutes north of Rotherham Central station) makes for a very tight turnaround cycle in one hour. Indeed on my trips today, one northbound TramTrain got held on the freight line while we waited for an eight minute late running southbound Northern Rail train bound for Sheffield to cross our path and two hours later I caught this same TramTrain to Parkgate which was by then running eight minutes late itself causing it to be out of sync with both the Meadowhall trams and Northern Rail train paths. Interestingly when we got back to Cathedral a fresh TramTrain had been slotted into the schedule to provide an on-time departure with our late running one going dead to depot. TramTrain passengers at Rotherham Central need to allow time for a lengthy walk along the full length of the platforms as the new dedicated TramTrain Platforms 3 and 4 (with low height boarding/alighting) are in fact extensions of existing Platforms 1 and 2 but are unfortunately sited at the far southern end away from the station’s northern entrance and exit. Sadly the £75 million didn’t stretch to more than a standard small shelter on the platform extensions either which look rather inadequate compared to the impressive full length canopies on the main platforms. Oops; a wrong ‘tram’ pictogram for Platform 1 on this sign! The facilities at the TramTrain’s northern terminus, Rotherham Parkgate, can also only be described as basic, especially as TramTrains are only scheduled to wait there for 12 minutes in any hour leaving passengers with limited waiting facilities if arriving at other times from the adjacent rather bleak warehouse style retail outlets. You can’t help thinking most of the £75 million has gone on technical stuff like making sure the TramTrains can cope with 750V DC overhead wires as well as the higher powered 25kV AC for main line running (something the Transport Select Committee picked up as being a complete waste after the Secretary of State cancelled the plans for Sheffield electrification in July 2017 having included it in the original 2012 plans) rather than passenger comforts. It was good to see high profile promotion of the new service at tram stops and at Rotherham Central. Automatic announcements were also being made there for next TramTrain departures too, even if they disappeared off the departure screens prematurely. Impressively there were also leaflets giving details of timetables, fares and tickets on every TramTrain and plenty of staff were around to help. This being South Yorkshire there are some great ticket bargains including a £4 day ticket covering travel on all tram routes including TramTrains. This won’t help the bus services prosper, but is possibly only an introductory arrangement. I’m always pleased to see new public transport initiatives and innovations and in that context TramTrain is very welcome. I’m sure lessons will be learned and be particularly pertinent for the upcoming plans for similar arrangements in the Cardiff valleys. But unlike Snap, Arriva Click, Pick Me Up and other private sector innovations this initiative has sucked up an awful lot of public money. And what’s more the DfT’s most senior civil servant recommended the plug be pulled on the whole project in 2015 only to be overruled by Minister Paul Maynard despite the Transport Select Committee observing neither the DfT nor Network Rail had quantified any benefits from the project. I also can’t help comparing the benefits of bringing relatively speaking a few Rotherham folk into Sheffield by a slightly different route than by existing bus or train for £75 million with what’s been achieved in Belfast for thousands of passengers right across the city with the Glider bus based transit scheme for £90 million. Against the background of no prescribed benefits one wonders how TramTrain will be judged a success but I’m sure it won’t be long before it is indeed deemed a great success. You may like to know I fought successfully to stop this being cancelled in 2011 – bit of a battle with Philip Hammond – so delighted that Paul Maynard keep the flag flying. Mind you, the price tag was £50m when I left office, not £75m. The pilot was designed to be just that, and for the concept to be rolled out more widely eg at Manchester Piccadilly which only has two through platforms. It was predicated on the ambitious electrification schemes that Theresa Villiers and I pushed through, many of which have now been cancelled in a short-sighted repeat of the Alistair Darling approach. Thanks Roger got a very comprehensive report. I’d hoped to be there for the opening day but work got in the way! But sadly the service was disrupted later in the day when there was a collision between a lorry and one of the tram trains, see https://www.bbc.co.uk/news/uk-england-south-yorkshire-45988308?fbclid=IwAR2YSr7wpYsMMh8hGUWDncKzfqxQvIwPvips4MuBzUWGg7R7Mn-DiRkkDkA for example. You have to feel sorry for all those involved in the long and tortuous process of getting them into service, only for this to happen on the opening day! I have no doubt that the tram train will be a huge success, as the northern rail alternative from Rotherham is at many times 20 mins standing on (late running) pacer. The extra running time for the tram is more than offset by the time it takes to walk from the station into the centre of sheffield. The big problem is going to be how to increase the service when (not if) it is needed as timing and pathing is already tight as you explained in your article.